For a FUN modern art project to do with the kids, add some black tempera paint to a 3/4 full bottle of glue to fill it up. Stir with a bamboo skewer, and shake the bottle well. 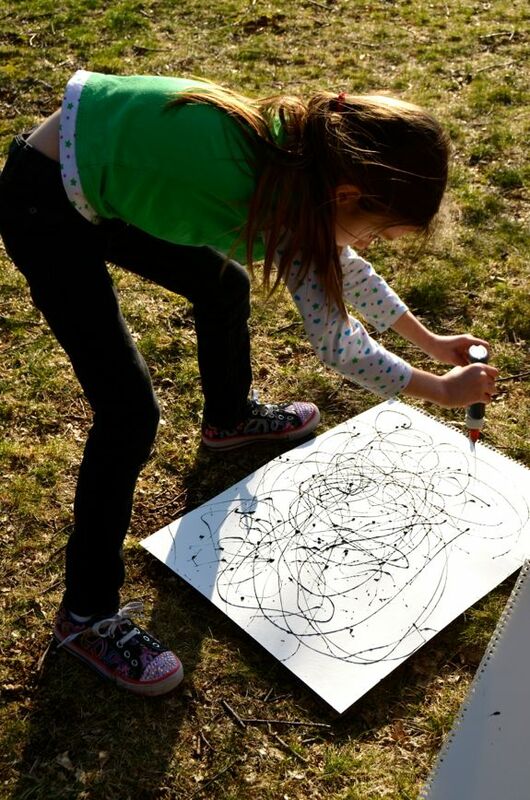 Invite your child to go outside, and make designs straight from the bottle onto a sheet of watercolor paper using the glue/paint mixture. [Tip: I recommend wearing play clothes, and you may want to hold the paper down to keep it from blowing away.] So much FUN!! Allow the paint/glue to dry completely. This may take several hours or overnight, depending on the thickness of glue. Next, invite your child to fill in the spaces left by the paint/glue with watercolor paints for a one-of-a-kind modern masterpiece! Emily was SO proud of how this turned out, and I love how each of these paintings is unique!! 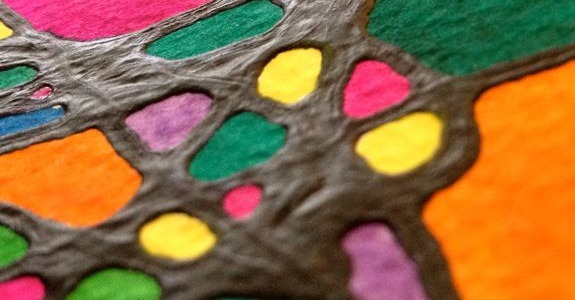 Bright watercolor paints work well for this for some amazing contrast. 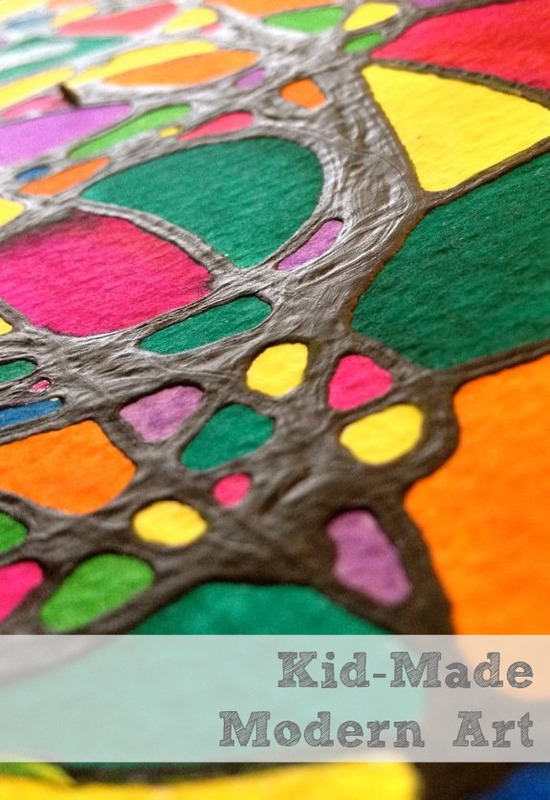 The glue adds some dimension and texture to the painting too! Oooh that is such a cool idea! My lot will love this! What kind of paint did you use to make it so vivid? This is a great idea. Love your website! 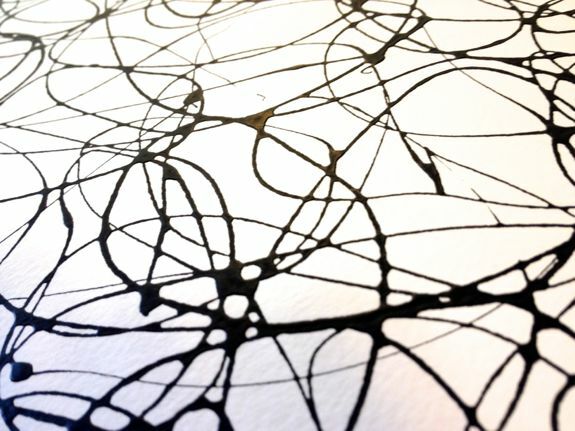 If i were to substitute acrylic paint instead,would it effect the bold, black lingered/boundaries (the tempura/glue portion)? I believe so, Emily. Acrylic paint would be likely to cover the black lines, unless you were careful enough to not paint overtop of the black. Hope this helps! What a great project! Will definitely do it in the summer when we leave the city.